Our privacy is a fundamental right. Unfortunately, it is severely threatened by ubiquitous surveillance by governments and Internet moguls alike. Even worse, intense analysis of all this personal data by smart algorithms promises to make us completely transparent and predictable, and hence even more vulnerable. Will we be able to salvage our privacy from the claws of the 'intelligent' machines? In this years' CWI Lectures four renowned scientists and policy advisors will discuss the state of the art in protecting privacy as well as the policy challenges to be faced when implementing these. For titles, abstracts and presentations, please click here. Marc Rotenberg is President of the Electronic Privacy Information Center (EPIC) in Washington, D.C. He teaches privacy and open government at Georgetown Law and frequently testifies before the US Congress on emerging privacy and civil liberties issues. He has served on several national and international advisory panels. In 2015, he urged the establishment of Algorithmic Transparency as fundamental right. And in 2018, EPIC launched a campaign to make the development of the US AI policy more inclusive of public concerns. Jan is the Head of Cryptography Research at Dfinity.org. 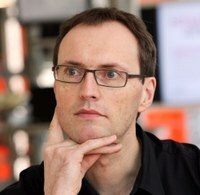 Prior to that Jan was a Principle Researcher at IBM Research - Zurich. Jan is a leading scientist in the area of privacy and cryptography, has published over 130 widely cited papers, and has received a number of awards for his work, including the 2010 ACM SIGSAC outstanding innovation award and the 2013 IEEE computer society technical achievement award. Jan is also a co-inventor of Identity Mixer, a unique cryptographic protocol suite for privacy-preserving authentication and transfer of certified attributes. He is a Fellow of IEEE and IACR. Adam Smith is a professor of computer science at Boston University. He obtained his Ph.D. from MIT in 2004, and was a faculty member at Penn State from 2007 to 2017. His research interests lie in data privacy and cryptography, and their connections to machine learning, statistics, information theory, and quantum computing. He received a Presidential Early Career Award for Scientists and Engineers (PECASE) in 2009; a Theory of Cryptography Test of Time award in 2016; and the 2017 Gödel Prize. 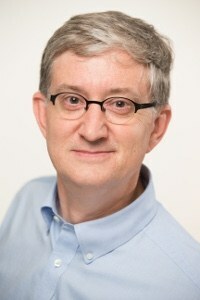 founding Director of Princeton's Center for Information Technology Policy. He is a member of the United States Privacy and Civil Liberties Oversight Board. In 2015-2017 he served in the White House as Deputy U.S. Chief Technology Officer. 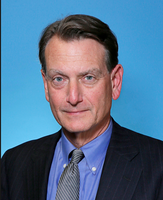 In 2011-12 he served as the first Chief Technologist at the U.S. Federal Trade Commission. His research interests include computer security and privacy, and technology law and policy. He is a member of the National Academy of Engineering and the American Academy of Arts and Sciences, and is a Fellow of the ACM. In 2004, Scientific American magazine named him to its list of fifty worldwide science and technology leaders.